When Thora unknowingly walks into the crosshairs of Nikolai’s after-show, her audition process begins way too soon. Unprofessional. That’s what Nik calls their “non-existent” relationship. It’s not like Thora can avoid him. For one, they may be partners in the future—acrobatic partners, that is. But getting closer to Nik means diving deeper into sin city and into his dizzying world. I don’t mind contemporary romance. Sometimes, it just happens to be exactly what I am looking for at the time. I purchased this book awhile ago and it has been sitting on my kindle. Honestly I forgot about it and why I purchased it ( Turns out I read Addicted by this author and I really liked that book as well, so I grabbed this one). I just finished reading a few books and came across this one and decided what the hell it says circus and I like circus theme books. I find them beautiful. Then when I found out it was more like a Cirque de Soleil type of circus I got more engrossed. Especially after getting to know Thora a small town girl who started her gymnastic sport at a later age so she’s not like other gymnast but she has a dream that she bravely puts into action. She runs off to Vegas to join the circus to be an acrobat putting her college scholarship and her place on the team in jeopardy. She meet Nikola “ The God of Russia” the day she arrives and goes to a club to meet her roommate (the girl she’s renting a couch from). Nikola at first has kind of a wild charismatic personality he goes to this club to unwind by doing bets and if he wins he gets to pierce or tattoo the person that lost. Thora accidentally becomes the person. He also ends up being a huge deal in the acrobat circus world. He isn’t all that he first seems either. Anyway, I loved all the characters in this book. They were all amazingly flawed brave people. The world building was beautiful everything from the description of the club, the circus and Vegas in general. The story although kind of slow at times was a beautiful story of being brave, falling in love , sacrificing things for those you love, family, hope and achieving your dreams. I would like to throw in that I would love to read a story about Timo. 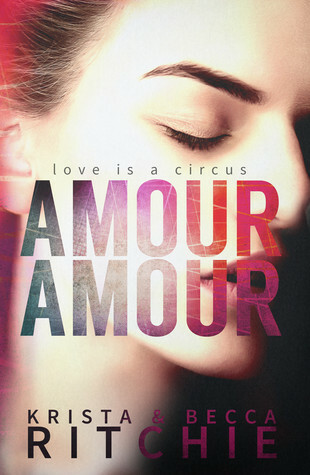 Great Cirque de Soleil type circus story, hot romance, humor, family, hope, heart warming, fun.